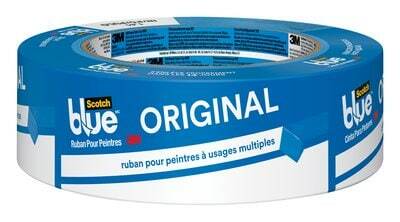 For great paint results make sure the surface is clean, dry and dust-free so that the tape sticks properly. Next apply tape onto the surface while pressing down as you go, then secure the tape by pressing down on it firmly with a smooth edge. And lastly let the tape set for about 30 to 60 minutes before painting.